Didn't make it to Vegas for the SHOT Show this year? No problem. We've compiled a list of some of the best new hunting rifles for 2015, from predator guns to elephant rifles. This year's SHOT Show debuted a number of new tactical products, but there were also a variety of new products designed specifically for hunters. Some of the products listed here aren't "new" in the strictest terms, but rather represent updated versions of classic firearms from years past. Others, like the new Sako Carbonlight, are cutting-edge rifles that utilize modern manufacturing techniques and the latest materials to develop lighter, tougher and more accurate guns. 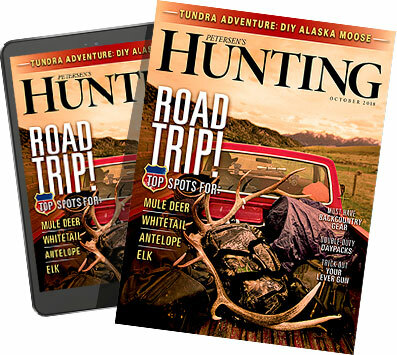 Some companies only rolled out one or two new products, while other brands like Mossberg announced dozens of new items for hunters. Some of the guns on this list are entries into the highly-competitive budget rifle market, while others are reserved for those who can afford the very best. Regardless, whether you're a Midwest whitetail hunter, a Texas predator caller or a Namibian PH with a quota of cape buffalo and elephant, there's a gun on this list for you. And since you didn't personally make it to Vegas, you can spend the money you saved on a new gun, right? Makes sense to us.